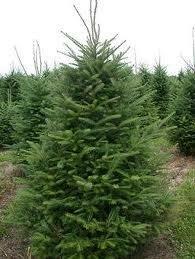 The Canaan is a medium growing (1-2ft per year) evergreen. Its needles are about 1 inch long and has a nice green color. It does not shed its needles but holds them for 10 years or longer. 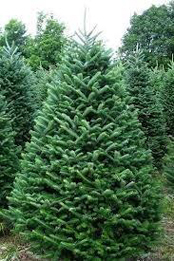 The Canaan fir will grow up to 50 ft tall and 15 ft wide, and has the traditional evergreen shape and a very nice fir smell. Often used for stuffing pine-pillows, these sharp needles are 1 to 1 ½ in. in length. This species is bluish-gray in color. Needles have an unpleasant odor when crushed. 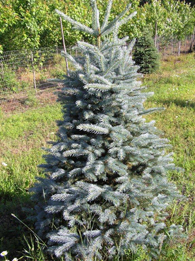 This Christmas Tree has good symmetrical form and an attractive blue foliage. It also has good needle retention. This is our primary tree for flocking. 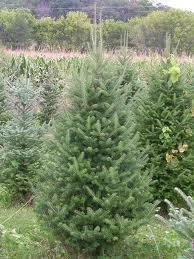 The largest pine in the U.S., the white pine has soft, flexible needles and is bluish-green in color. Needles are 2½ – 5 inches long. 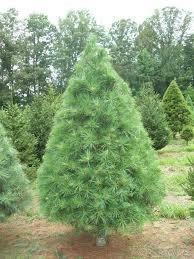 White pines have good needle retention, but have little aroma. They aren’t recommended for heavy ornaments.